I am of the slightly crafty kind. I appreciate the folks that have beautiful handwriting and work on large projects, but I’m just not there. I have great ideas, but they don’t always pan out to be what the intended project was.This project is an example of me going to the store with something different in mind but going with what I found. I’m still proud of it! When Ben and I announced that we were pregnant to our families we thought that we were going to be having and raising (at least short-term) our baby in Fresno. The news then of course came that Ben was being transferred to CSU and we’d be closer to our families. 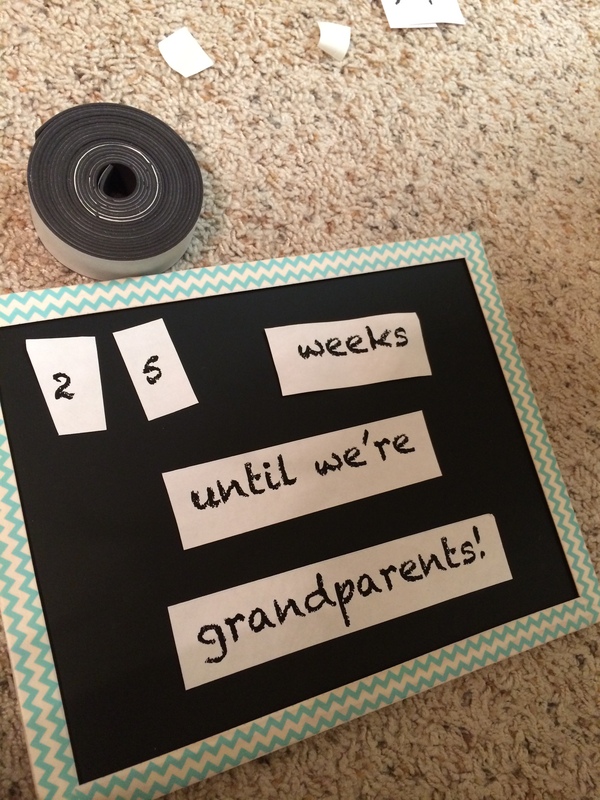 This gift works both for near and far families and is a fun way to include grandparents-to-be on the countdown to your baby. 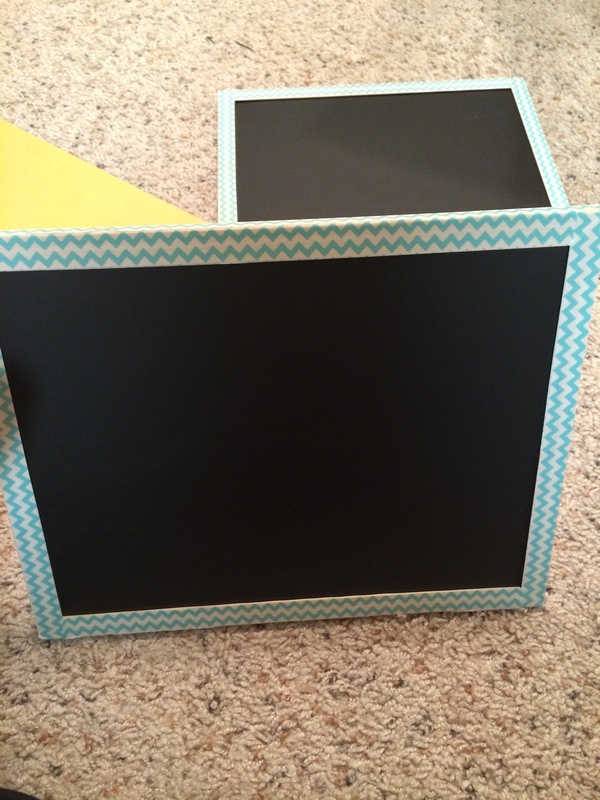 This project was very easy to accomplish and is still in the crafty DIY category. Go get ’em! 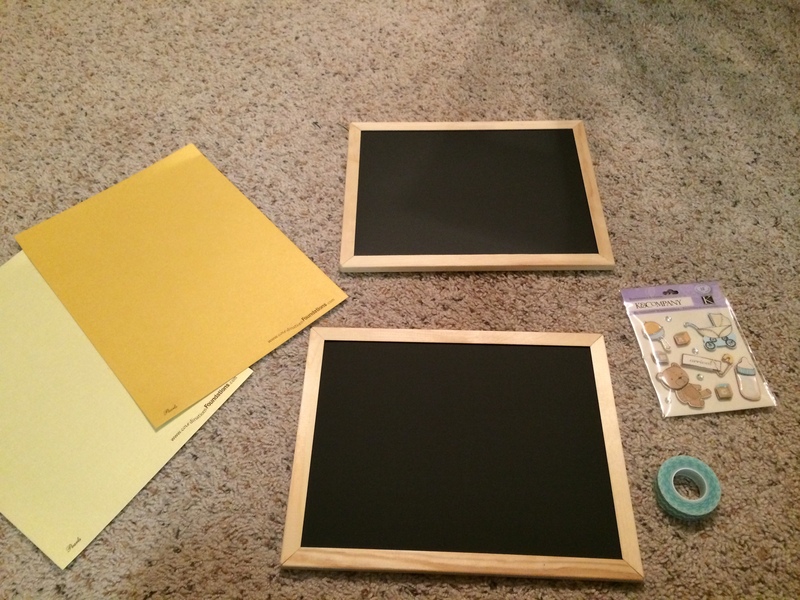 First, you’ll start by taking the Washi tape and applying it to the wooden border around the chalkboard. 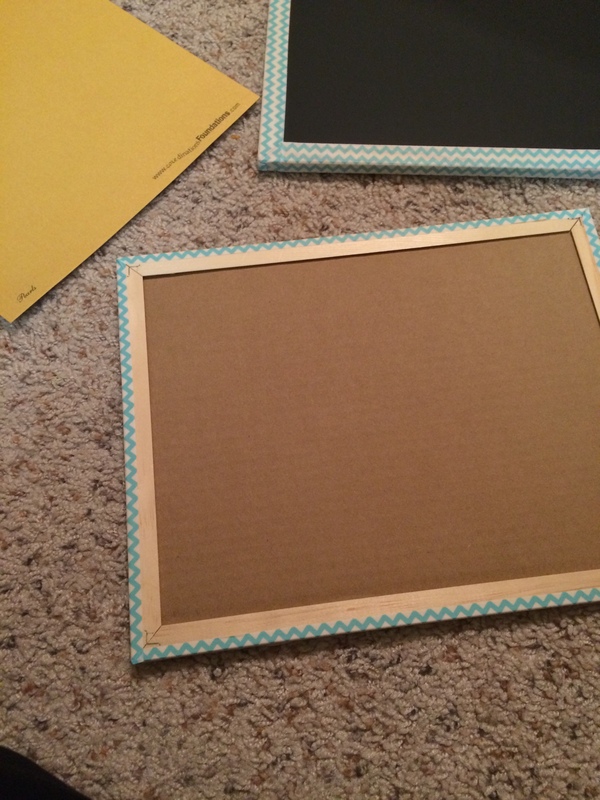 Cut and fold as necessary to make smooth lines. Then you’ll print off your words and numbers. I have attached the template that I used. 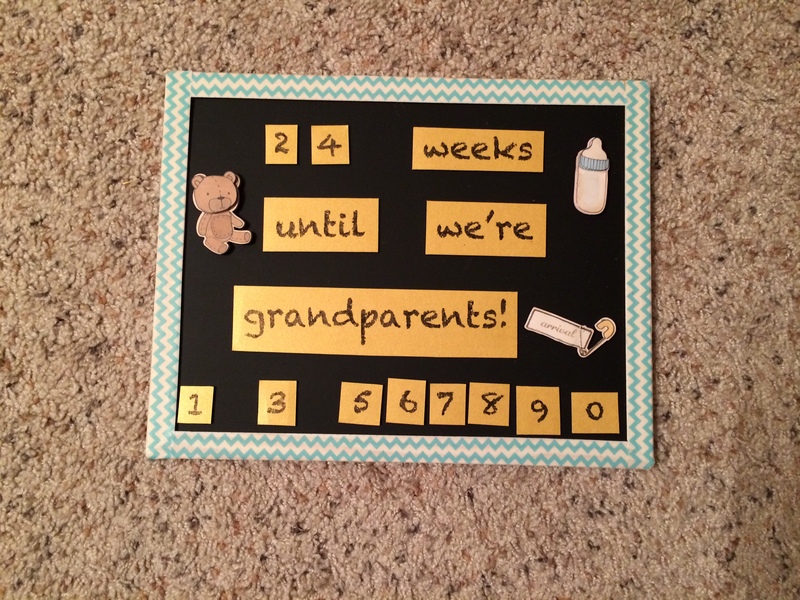 Make sure you make at least two 1’s and two 2’s (and potentially two 3’s depending when you gift these to your parents) as I made this error first time through the project. I recommend practicing on regular printer/copier paper to make sure your sizing is right for your board and that there is appropriate space between items. 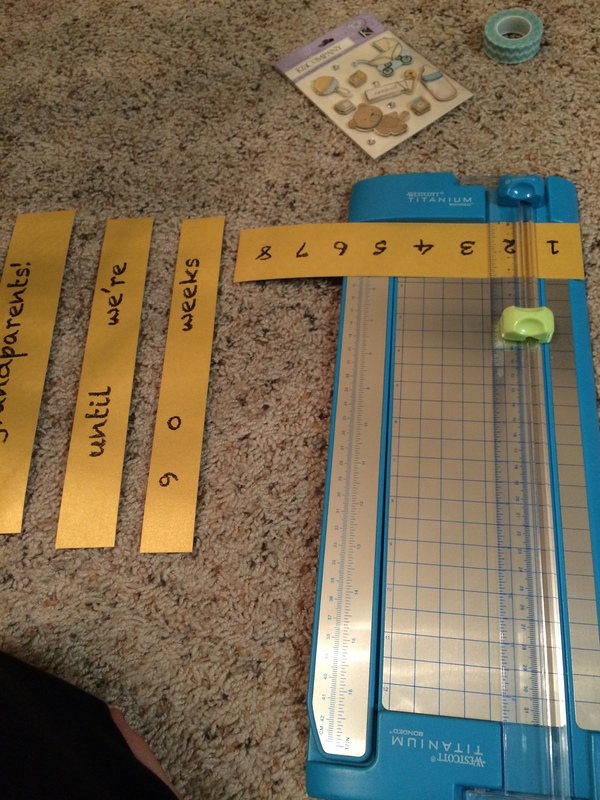 Then you’ll cut out each of the numbers and words. Make sure the ink has had time to dry. 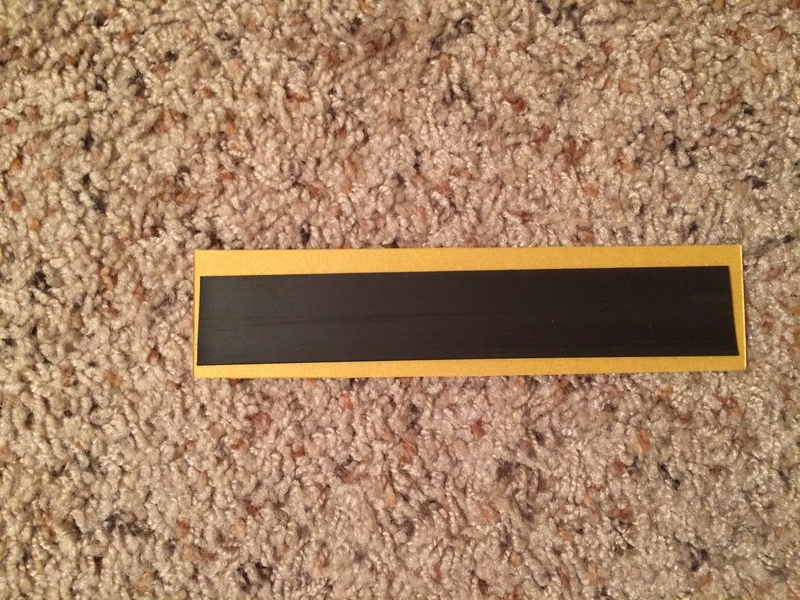 Once you have these cut out you will measure the magnet roll tape to the back of each item and cut the roll so it covers the majority of the paper without sticking out over the edges. You will need to press down to ensure they stick together. We did not provide a hanging attachment on the back of the frame as both of our parents have set it up without. If you know your parents will hang it up, you can add the appropriate fixture to the back and/or add ribbon for the hanging items. You’re done! 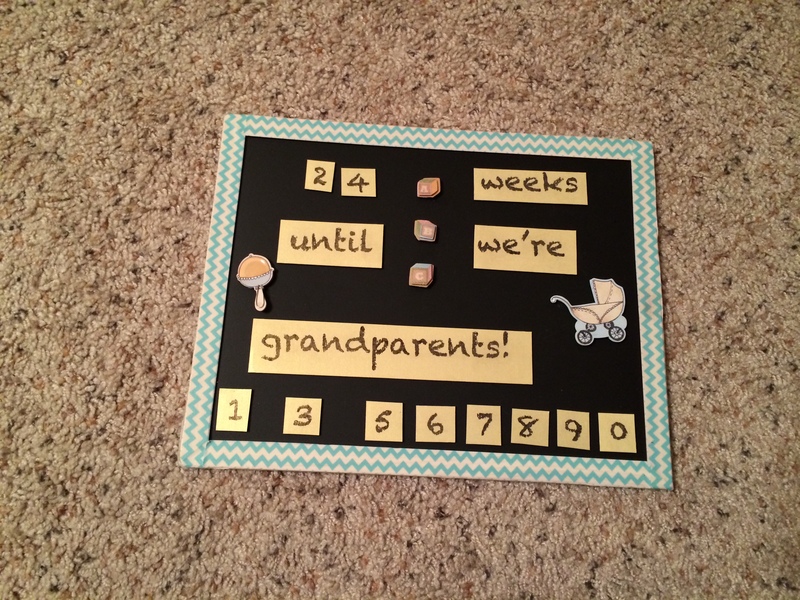 Gift your item with pride and let the grandparents-to-be enjoy the countdown to your little bundle of joy!